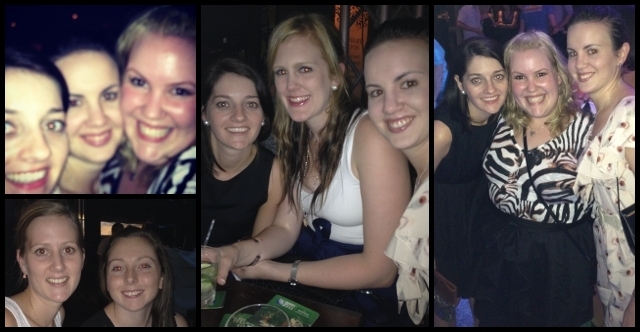 When stressed, run down or sick of work, I think that nothing soothes quite like a messy girls night out! A few of my ladies and I hit the town and headed to Man 'O' Mania! Looks like a fab girls night out, I haven't had one in years, outfit looks fabulous! oh em gee... WIN WIN WIN WIN! Looks like a wild fun night! I see you had a good time, yeahhhhhhhhhhh. Good for you. i love this!!! YOu look gorgeous and it looks like you had one memorable night!!! looks a fun group of girls.. so important to have those nights! So happy to have found your blog today after you commented on mine! What a fun style you have & a fun personality really shines thru! Oh my, this looks like a super fun night. I love the outfit and that skirt is gorgeous. I love your hair too btw, it looks really cute. I haven't had a girls night in forever, forever ever, I need to get on that. Super cute skirt! I love the ruffles! Hee! Now that looks like a fun time was had! awwww... you look like you had so so much fun!! I agree its a good way to destress. Adorable! Looks great and awesome in these <a href="http://www.loudstarbazaar.com/shop/brand-alpha-industries/alpha-industries-utilitarian-pencil-skirt/p_51.html>Black skirts</a> sh'e's wearing!